I'll be honest. 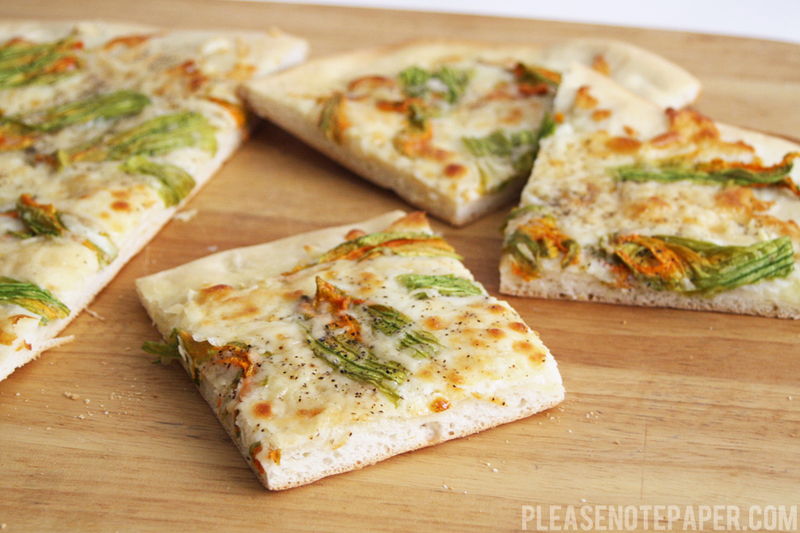 I originally meant for this "cheese bread" to be more pizza-esque, but sometimes recipes just don't turn out as planned. Regardless, I'm happy with how it tastes so why not share it? 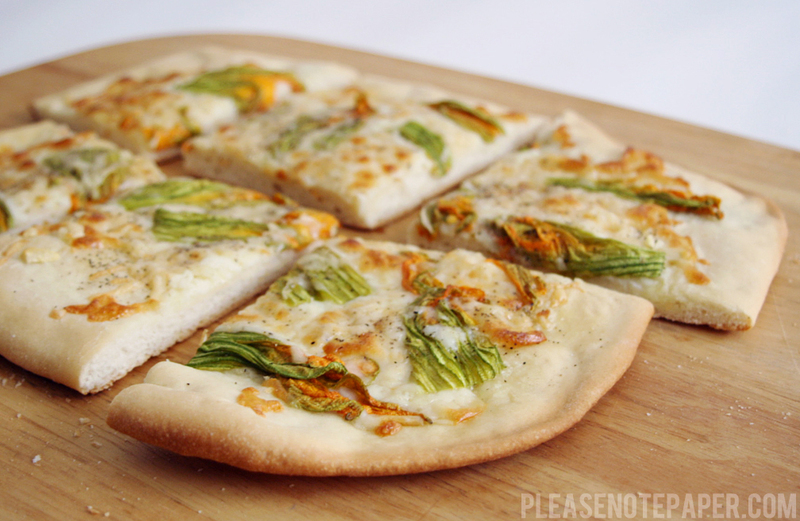 I suppose if you wanted to make it more like pizza you could add a sauce (I highly recommend the sauce I used in this pizza recipe) and roll the dough to be much thinner. If you like the idea of cheese bread (and really, who doesn't?) then read on! Preheat oven to 425 degrees. 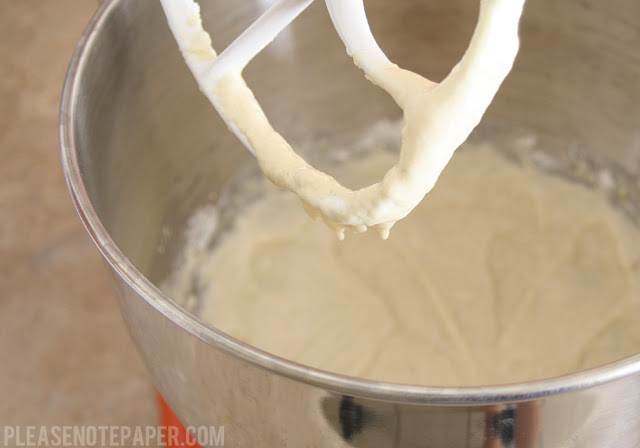 Combine 1 cup of the flour, the entire packet of yeast, sugar and salt in a mixing bowl. Add the water and the oil and mix for about a minute. 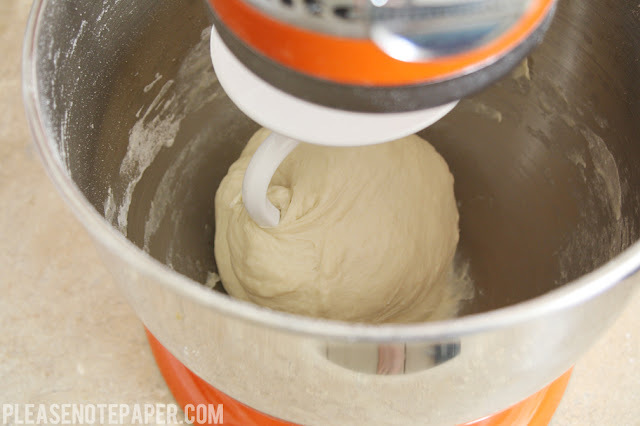 Slowly add more flour until a soft dough ball is formed. I added about another cup. At this point, I used my dough hook (for the very first time) to knead the dough for a couple of minutes. If you don't have one, go ahead and knead the dough ball for about 4 minutes on a floured surface. 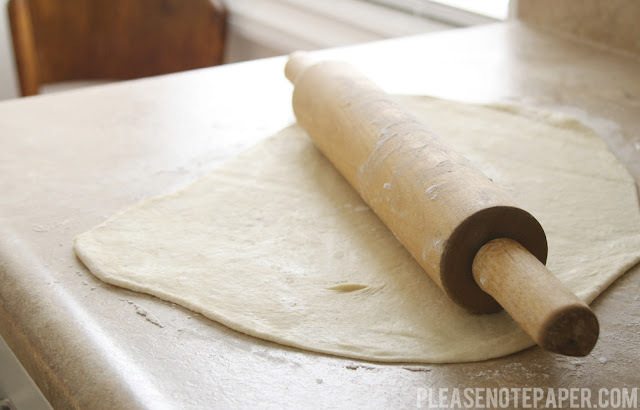 Roll the dough as thin as you like. Mine was about 1/4 inch thick. Transfer it to a greased baking sheet. Now it's time for the toppings! 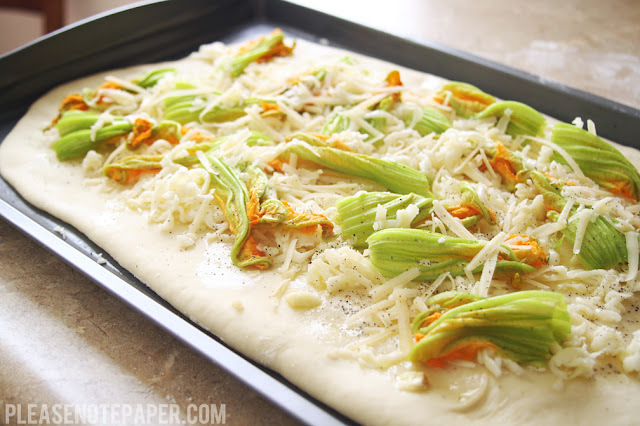 Wash the squash blossoms and cut them in half. 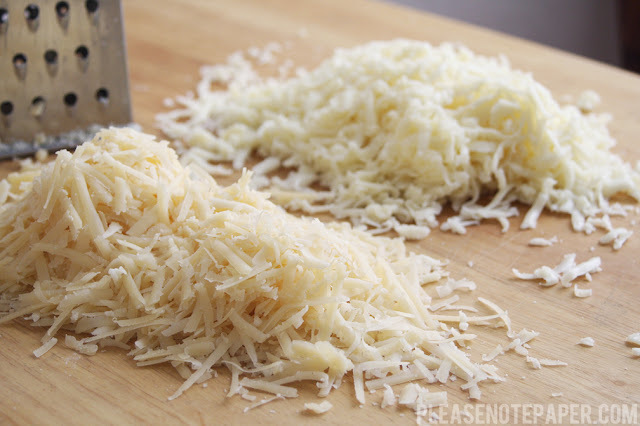 Grate the parmesan and mozzarella. 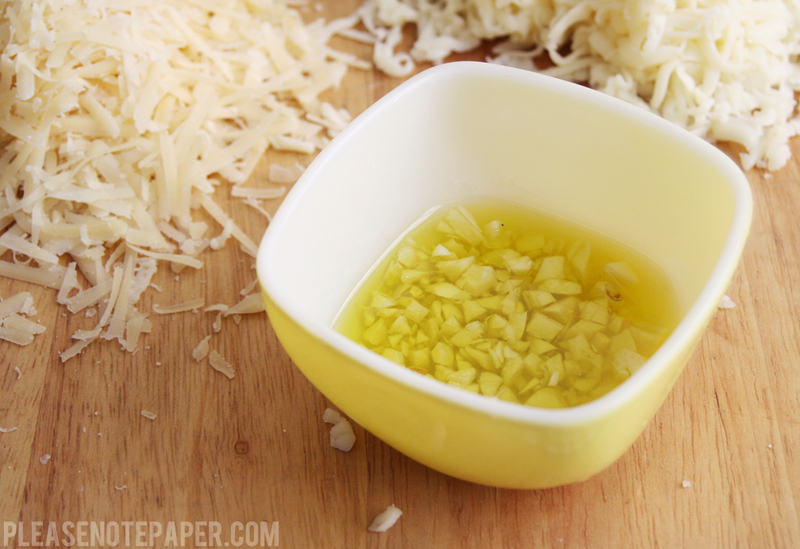 Add the chopped garlic to a little olive oil (I used about 2-3 tablespoons). Spread the olive oil and garlic on top of the dough. Add both cheeses, the blossoms, and then a little more cheese. Sprinkle with salt and pepper. Bake until golden brown (about 15-20 minutes). Enjoy! 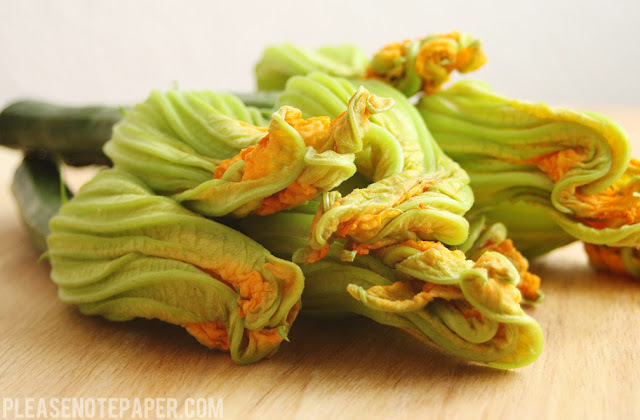 To wash squash blossoms, do you just rinse off the outside of them? Or do you really need to get in there and/or remove any leaves as with brussels sprouts? Thanks!